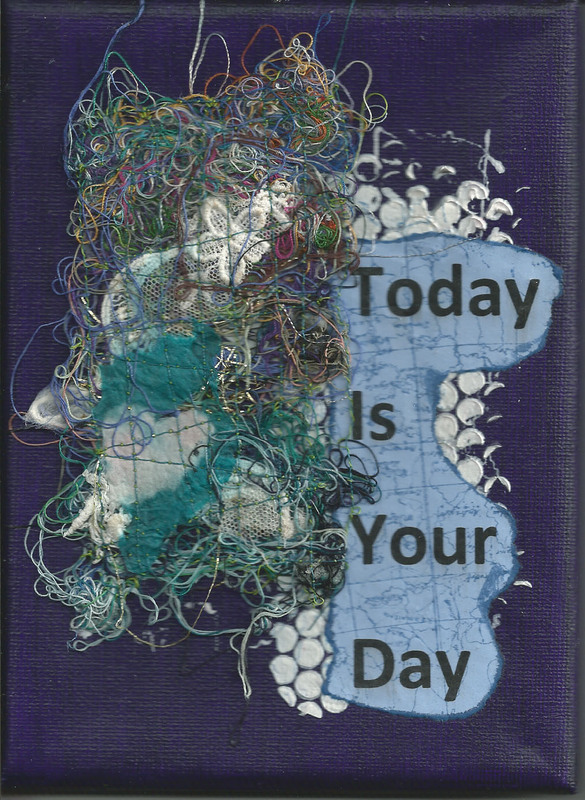 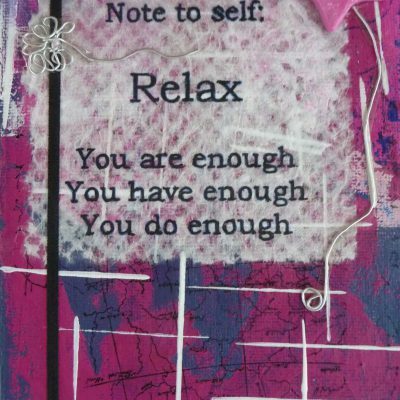 Original 5″ x 7″ mixed media painting on canvas with words “Today is your day”. 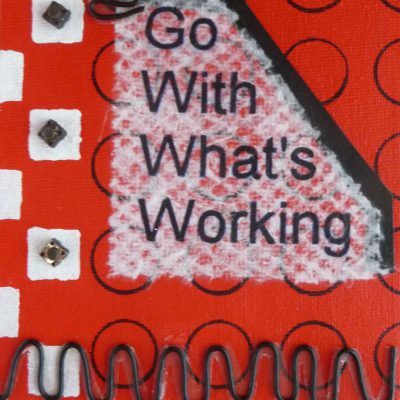 Created with acrylic paint and mediums and containing a hand-made, hand-sewn embellishment. Main colour is blue. 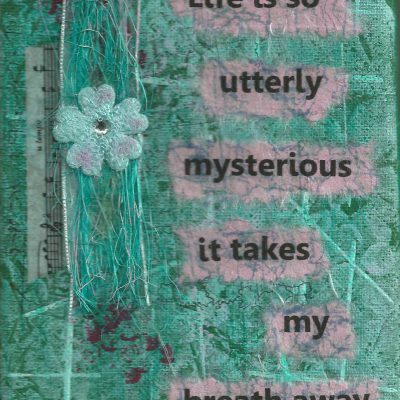 Created using acrylic paints, mediums, hand-made and tissue papers.